Impressive architecture, beautiful park-like landscaping, countless services and amenities and a convenient location on the southern edge of Downtown Kansas City, Missouri. 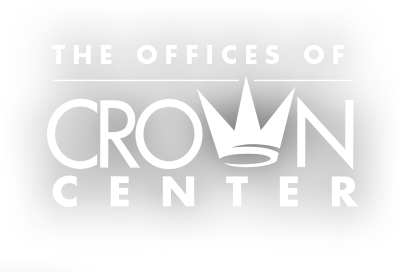 They all make Crown Center an ideal place to do business. If you’re looking into leasing office space, you’ll find over 1.8 million square feet of first-class space at a variety of rental rates – all within a premier multi-use complex surrounding the world headquarters of Hallmark Cards, Inc.
You’ll also be able to count on the property owners to take care of your building – and the area surrounding it – because their offices are right onsite, too. They’re committed to quality and service, and maintain the same high standards for your offices as they do for their own.